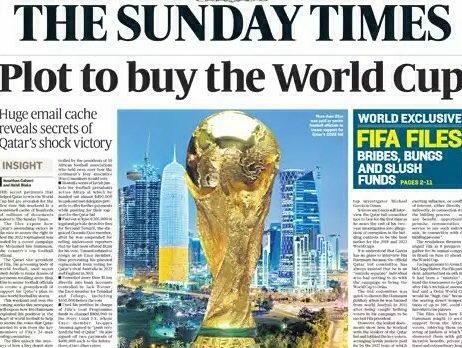 Sunday Times managing editor for news Charles Hymas, who oversaw the paper’s investigation into corruption and bribery at Fifa, has left the title after 26 years. He told staff in an email today that his time at the weekly broadsheet, during which he worked under former editors Andrew Neil and John Witherow, had been “both inspiring and challenging”. “I am privileged to have been involved in and led some of the newspaper’s great investigations, from cash for honours to Fifa (pictured),” he said. “I am honoured too to have worked with a fantastic team of journalists, the best in national newspaper journalism in my view. “I would like to thank the editors who gave me the opportunity to do what I have done: Andrew Neil, who made me education correspondent, John Witherow, who nurtured the transformation in my career from reporter to executive and Martin Ivens, who backed our investigations into Fifa and drugs in sport and most recently the exposé on Trident. Sunday Times editor Martin Ivens said: “Charles has been an outstanding member of The Sunday Times team for more than two decades. “His commitment and energy have never been less than complete, as exemplified by our scoops that he has overseen, not the least of these being the Fifa investigation. 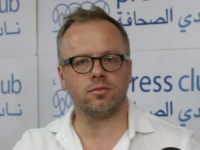 Ben Preston, the paper’s new executive editor, will start his role “earlier than planned” next week as a result of Hymas’s surprise departure, which is understood to have come as a shock to staff. News editor Steve Bevan is also understood to be leaving the newspaper. (UPDATE 17/5/17: Bevan has left and is replaced by Becky Barrow). They said the departures were “clearly all about getting things ready for a major news shakeup once Ben Preston arrives”. The Sunday Times won the London Press Club Sunday newspaper of the year award today and the paper’s Oliver Shah won business journalist of the year. Charles’s dedication to the newspaper was such that he put it first, above almost everything else, including his family. He was always the first to arrive, the last to leave and he had a solution to every problem. The paper will need someone equally as superhuman to replace him.